Slip on bootie with side elastic inserts. 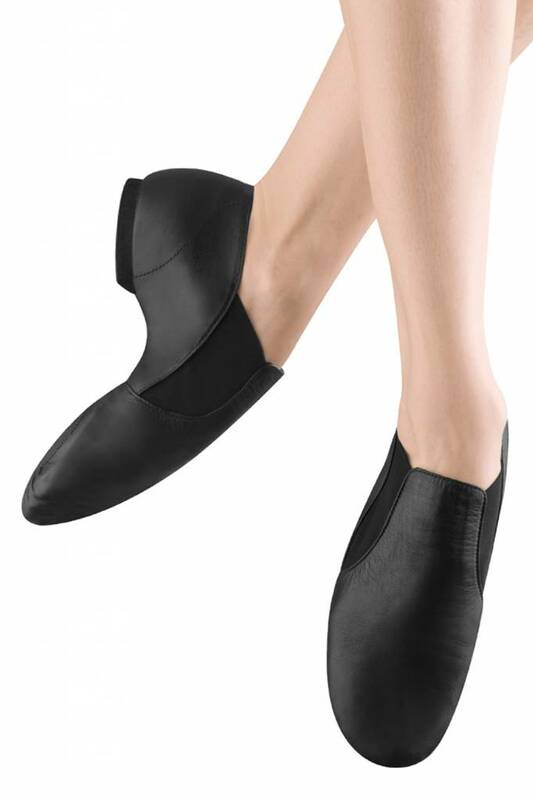 A leather upper with split sole forefoot and heel pads for flexibility when pointing and flexing. The elastic insert replaces the need for laces in this half boot/half shoe. The toe shape allows the toes to spread in the demi pointe position and an exceptional fit has been achieved in the upper arch.